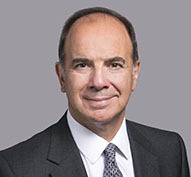 ​​Philip Rocher is the senior partner in the Dispute Resolution Group in Gibson, Dunn & Crutcher’s London office. He specialises in litigation, often with an international element, and regulatory and internal investigations. He has extensive experience in the financial services sectors. Mr. Rocher regularly advises on high value disputes arising from the full range of commercial activities and has taken many large and complex matters through to a concluded trial. In recent years he has conducted a three-month hedge fund fraud trial in the Cayman Islands, a ten-week fraud trial in the Commercial Court, and the two-week trial of the first phase of a ground breaking private sector equal value employment claim. He has conducted numerous regulatory and internal investigations in the UK and internationally for clients in the financial services sector and in other industries, reporting the results to both regulators and boards of directors. These matters range from examining the conduct of senior managers in an investment bank, to major multinational regulatory investigations. Mr. Rocher has been identified as a leading lawyer in the field of Commercial Litigation in Chambers UK 2017. He is also ranked as a leading lawyer for Commercial Litigation and recognised for Regulatory Investigations and Corporate Crime and Administrative and Public Law in Legal 500 UK 2019. Mr. Rocher is recommended in the field of litigation by Best Lawyers International 2019, and is also listed as one of the leading practitioners worldwide in the most recent issue of International Who’s Who of Commercial Litigation Lawyers. Prior to joining Gibson Dunn, Mr. Rocher was a partner in the London office of Clifford Chance.